Liberty Ross took off her wedding ring not long after news broke of her husband, Rupert Sanders, cheating on her with Snow White and the Huntsman star Kristen Stewart. However, even though Liberty Ross was reportedly going to try to work on her marriage with Rupert — namely for the sake of their two children — a source has surfaced saying Liberty is about to give up on her husband because he’s still madly in love with Kristen. Robert Pattinson on the other hand, well . . . . he’s definitely not madly in love with Kristen anymore. 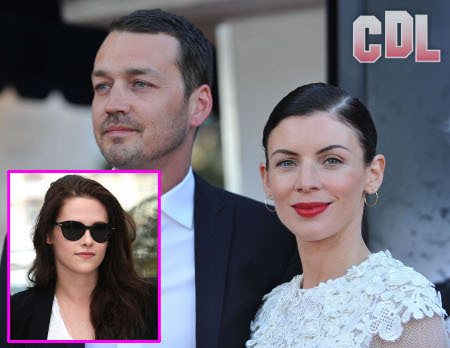 If you have absolutely no idea what’s going on with the Kristen Stewart and Rupert Sanders Affair (it’s okay if you don’t, I still *heart* you), click here to get the scoop on all the latest K-stew/R-Pattz/L-Ross/RupDers drama. There are moments when I care about the feelings of all the celebs involved; there are moments when I only care about Liberty and R-Pattz; and then there are those moments when I feel so incredibly bad for Rupert and Kristen. I guess we’ll see how this whole thing plays out over the coming weeks, and I’m definitely looking forward to seeing what R-Pattz has to say in a few days. In several days on Good Morning America, he will partake in his first LIVE interview since Kristen pulled the rug out from underneath his feet. But in the meantime, we gotta ask: Is Rupert Still In Love With Kristen?